FBI Director James Comey has been grilled by the House Oversight and Government Reform Committee over the bureau’s probe into the use of a private email server by Hillary Clinton while she was secretary of state and his recommendation not to charge her. On Tuesday, Comey recommended not charging Clinton with any wrongdoing, despite evidence of “extremely careless” conduct. “You have set a precedent, and it’s a dangerous one,” Chaffetz said. Ranking Member Elijah Cummings (D-Maryland), accused the House Republicans of political posturing and wasting taxpayer money on investigating charges that were “debunked,” such as Benghazi and the email scandal. Cummings had publicly endorsed Clinton in April. “I firmly believe your decision was not based on convenience, but on conviction,” Cummings told Comey. He noted that the violations made by General David Petraeus were not investigated by the committee as it was done in the case of Clinton because Republicans didn't need it for their agenda. He asked the FBI director to fully explain his reasoning in the probe, in order to put an end to political speculation. “The decision was made by people who didn’t give a hoot about politics,” he said. Comey talked about a 1917 statute making it a felony for someone to engage in “gross negligence.” He said that the Department of Justice had used it once in the 99 years since in a case involving espionage. “I see evidence of great carelessness” but not sufficient to show that they knew they were doing something that was against the law. Chaffetz asked where were Clinton’s servers? He added that it is reasonable to assume Clinton would be transmitting classified info as the Secretary of State. When asked by Chaffetz whether Clinton did something wrong or if the FBI would grant a security clearance “to someone who acted like this,” Comey responded that the former secretary’s actions “would be an important consideration in the suitability determination” for clearance. “Just ‘cause someone’s not prosecuted for mishandling classified information… that doesn’t mean there are no consequences for it,” Comey said. “There is a robust process” in the FBI for people who do this, from reprimand and loss of clearance to termination, he noted. TG:False exculpatory statements, they are used for what? Gowdy then asked if Comey would show jury all this as evidence of a plan to conceal. “Two days ago you said a reasonable person in her position should have known” not to do this. "But this is no average person – former First Lady, US Senator, and former SecState who current President says is the most qualified for presidency since Jefferson," he said. Gowdy said that he is concerned that Comey said"there was no precedent for criminal prosecution." "My concern is that there still isn’t. Double-track justice system, so an Army private will be punished, but Hillary Clinton who seeks to be commander in chief will not," Gowdy said. Another Republican lawmaker also expressed concern over the double-standards of the investigation. Rep. Jim Jordan (R-Ohio) said: "Bunch of prosecutors would have taken your evidence and taken it to a grand jury. But you said 'no reasonable prosecutor' would. One of the factors you said was 'consider the context'. Typically that’s a defense argument after the guilty verdict. You said it on the front end. What does that mean? A lot of Americans think there is a double standard, one for the powerful and another for the rest." 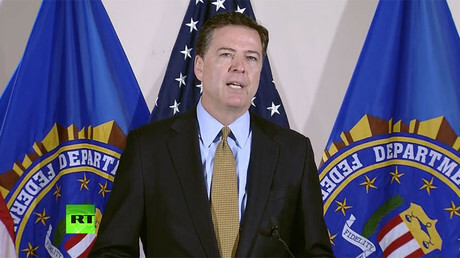 "The exercise of prosecutorial discretion is always a judgment call,” said Comey, noting that he didn't mean "political context"
The FBI director found a friendly face in Rep. Carolyn Maloney (D-New York), who complained that Republicans were attacking Comey for the decision not to recommend charges. 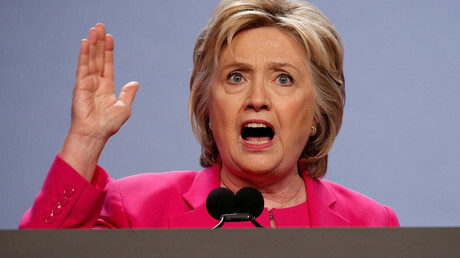 She quoted House Speaker Paul Ryan (R-Wisconsin), who complained that the Clintons are above the law and held to a different standard, and Senator Ted Cruz (R-Texas), who said that Comey had “rewritten a clearly worded federal statute.” Comey denied those criticisms: “It’s just not accurate.” Maloney also noted that presumptive GOP presidential candidate Donald Trump has taken conspiracy theories to a new level, a veiled reference to the billionaire businessman’s leadership of the so-called “birther” movement against President Barack Obama. Maloney asked Comey if he had planned the timing of his announcement to coincide with a Clinton campaign event on Tuesday. The FBI director denied doing so, noting that the “timing was entirely my own” and that the FBI didn’t even leak the decision to the press ahead of time. He also denied making the decision not to recommend charges based on a potential bribe between former President Bill Clinton and Attorney General Loretta Lynch, who met briefly over the weekend. In his round of questioning, Cummings asked Comey to compare this case with that of Petraeus because some people claim that Clinton's case is worse than Petraeus. The issue if Clinton intentionally violated the law was addressed to by both Republican and Democratic representatives. Rep. Lacy Clay (D-Missouri) asked if Secretary Clinton or any member of her staff intentionally violate federal law. “We did not develop clear evidence of that,” Comey said. LC:Do her mistakes, for which she apologized, rise to the level of federal prosecution? JC:No DOJ would prosecute this, either Republican or Democrat. Rep. Cynthia Lummis (R-Wyoming) expressed surprise at how Clinton couldn't have known that. "How did Clinton not know this stuff? She was Secretary of State! Of course Secretary of State would have classified materials. She’s a lawyer. She knew from her White House days that classified materials can be very dangerous in the wrong hands. She had to have known! How could this have happened?" she asked. Comey replied: “It’s a good question, a reasonable question.” The government has to prove, before it can prosecute, that people knew what they were doing was unlawful. Rep. Ron DeSantis (R-Florida) asked Comey how the classified information got onto Clinton’s private server. 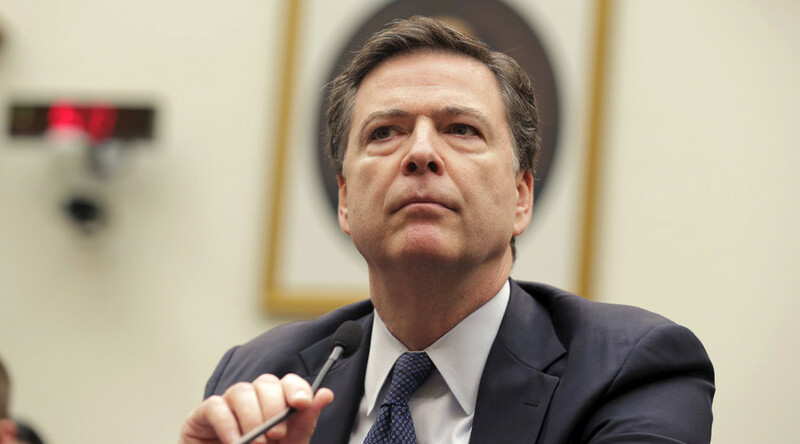 People talked about classified matters in those email exchanges, the FBI director responded. “Secretary Clinton not only received but also sent emails that talked about that subject,” he said. Rep. Mark Meadows (R-North Carolina) quoted several statements Clinton had made that she “never sent or received any classified material,” and that any such information on her server had been classified retroactively, a process called “up-classifying.” Both Clinton’s statements and Comey’s assertion that there were several emails that were classified at the time they were sent or received couldn’t be true, Meadows asked. Clinton’s statement “is not accurate,” Comey responded. There were three people that bore the letter “C” in parentheses, denoting they were classified. Meadows then asked if a reasonable person, as secretary of state, would know that the mark means a document is classified. “Before this investigation, I would have said sure. But I am not so sure now,” Comey said. “It is a question if she was actually sophisticated enough to understand” what the marking meant. He also pointed out that a reasonable person wouldn’t apply a perjury test to Clinton’s sworn testimony in this situation. Comey said that he didn't get any political interference neither from the White House nor from Clinton campaign. “I did not coordinate that with anyone. The White House, DOJ, nobody other than the FBI family knew what I was about to say. I say this under oath,” Comey said. Ted Lieu (D-California) asked if it is possible that a busy person just might miss tiny 'classified' markings. Comey replied "correct." Blake Farenthold (R-Texas) asked Comey to clarify why the absence of intent was crucial for making their recommendations. "I was always taught to that ignorance of the law was no excuse," he said. "The comparison to petty offenses I don’t think it’s useful," Comey said, noting there should be general criminal intent. Farenthold asked why should any person follow the law if our leaders don’t. Comey relied he is no more qualified to answer than any American citizen. Comey also said that Romanian hacker known as "Guccifer" never gained access to Clinton’s server. However, he said that he didn't know if the server was hacked.